Forums Monk I made it to GR60, can you help me grow? I made it to GR60, can you help me grow? This is my first season and I love it! I'm going to pass non season Paragon soon. Please look at my seasonal Monk and give me some pointers. I clear Normal rift TX in 3-5 min because I am slow and pick up everything. I struggle to clear GR60, and my max is GR62. My leggems are about maxed because 15% chance. I did a Caldesanns but didn't really see an Increase even with +275 Dex. It seems like the pros are saying this game is easy, but I don't see a solo 75 possible. I am pretty casual, I guess... 5-15 hours per week. Would like to get to the stash space, but I am struggling to complete any conquests. I know I still have plenty of time, but now I want to play PTR, since I never did that before either. I played blind/solo for 3.5 years, and made more progress with internet help in the last 6 months thank I did in the first 3.5 years! I'm right where you are now except that I haven't leveled my Leg Gems that much yet. One thing I can say is that you can probably do the "Curses!" conquest pretty easily (kill 350 monsters at a cursed chest before the timer expires). Everyone seems to recommend doing "The Cursed Peat" bounty in A5:Paths of the Drowned for this one. This particular cursed chest loads a ton of mobs. The chest can load in the zone without the bounty too, but it's easier to fish for by checking for the bounty, because it isn't there every time. I got tired of running through the zone and not finding the chest, so I've resolved myself to just fishing for the bounty. I've only tried it once and I got 312 mobs on my first attempt and my Sweeping Wind dropped off for a bit and I struggled to get it going again. I'm going to try this again with Vengeful Wind and I think I could get it solo pretty easy. With that weapon cubed it looks like a start for a tx speed build but for that you'd use insight instead of desert shroud. Also, don't use F&R-set for rings - without generator you miss 50% of the damge bonus and the damage reduction you get when using unity+convention oE. ed - just saw that u are not even using cindercoat in the cube?! you are trolling right? So in terms of conquests, the easiest are the chest event and the 2-min rift. The 2-min rift I got in a public rift game and simply told people we were going for the achieve and they all understood. Someone has to start recalling when the rift is 90% done to turn it in as soon as it is complete. The chest event, as described above, is easiest in Path of Drowned/Blood Marsh. With Envious Blade and AoE bells it is jokingly easy. Lastly, getting 3 gems to 65 is just a grind. Public GR's with strangers should be able to accomplish this no problem, but if you want to solo it that isn't hard either. Soloing 75 is certainly possible. I did it in my current gear. Getting past 70 is less about gear and more about play-style. You need to be fast and lucky. That is all. Pushing ladder ceiling is where paragon levels and gear really matter. LOL!!!! Thanks for the tips man! I was soooo frustrated, this is just a crap build I made in a rage, I will put my cindercoat back on in cube! Also, thanks for teh critique, I have much farming to do and this is the best stuff I found so far. I think I've been transmuting the torch... whoops! OK, put torch and cindercoat in cube. Found out I have 5 COEs including an ancient, but only one unity. I guess I'll stay focus, restraint till I find another. Rolled critchance into helm.got 5.5 of 6, I'll keep rollin. I cleared a 64 first try, but the 65 is going to take adjustments. The ice damage from just being close is killing me bad. My Gems are 65,64,63... will be easy now! I am looking for cursed peat and having a blast! I also noticed my WOL is using hardly any spirit so I am full on MOST of the time! In my opinion, your amulet is the weakest piece and need to change most. Get your amulet to have any crit, best if chance and damage couple with 20%fire, these 3 stat are almost equally important, if not dex would be second best stat on it. If you have alot of white/blue/yellow material, recommend you to upgrade rare fist to get ancient kyoshiro blade & crystal fist to use. *1 full stack of each materials should be a good start to upgrade rare, or if you picking up rare fist(yellow) and keep in stash, 2000 of each material is more than enough to start this project. Bahamut's suggestions are a good start. I would also make some additional changes. I would personally recommend to roll 11% elite dmg reduction onto torso, since it is separate from other DR sources (meaning you will gain it's full effect). This would change the ideal stat rolls to; Dex, Vit (or life % at high vit), Elite DR, 3 sockets, melee or ranged DR, secondary res. Those pants... you should not be rolling armor onto any gear at all, since dex is already going to give you that. I would recommend an all res roll instead of the current +armor. AD is extremely important in any DPS setup (which Wuko Bell is); you can usually afford to roll it onto shoulder, gloves and MH (OH depends on the build, as some builds require high LoH or CDR). You generally want to have at least 2 items with AD (+50% from paragon), as AD becomes more noticeable at ~100% and above. In your case, it is safest to roll AD onto the shoulder and gloves (requires a new shoulder, since you have already re-rolled). As for crit, you usually want to have around 45 - 50% CHC and 450 - 500% CHD, with dual wield builds requiring somewhat higher CHD to offset the lower dmg range (vs 2H); this is easily addressed by taking emeralds in both weapons (as you have done). 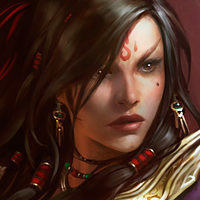 Mantra of Retribution will be doing practically no dmg, I would recommend switching it out for Mantra of Salvation - Agility, which would provide higher toughness (may allow you to trade Harmony passive for an offensive passive, to boost dmg). This suggestion is made with the intention of retaining the original structure of your current build (hence one mantra is swapped for another). SW - Inner Storm, Epiphany and Air ally, combined with Incense Torch, Cindercoat and Crudest Boots should be providing sufficient spirit regen/cost reduction. This should allow you to trade the exalted soul passive off for a more appropriate passive, boosting either your toughness or dmg (as you see fit). In the event that your Epi uptime is insufficient to provide feasible spirit regen, boost your CDR (most obvious option is to roll 10% onto OH). Wuko Bells tends to be a ranged play-style, as face tanking is bad for SW stack management. With this in mind, Zei's and Bane of the Trapped will provide the highest damage bonuses; each of which exceeds the dmg bonus from Bane of the Powerful (assuming that you keep distance correctly, for zei's). If, after making all of these changes (as well as advice offered in previous posts), you still find your all res to be lacking, you can consider swapping socketed emeralds (in torso and pants) for diamonds. The dex lost is below 1500, which would amount to ~300 paragon levels OR the dex bonus granted from 5x lvl 60 augs (can be considered a cheap trade at higher paragon, but only advisable if your all res is lacking). You guys are GODS!! I am listening, thanks sooooo much! Yes, I have been kicking myself over zeis for a while. Soon as I do the 3x65 I will start a zeis, i see the bonus, I am killing off screen most of the time! Just for your info, I could do GR 70+ without extra paragon in dex, with bane of trapped+zeei+ powerful, for speed run, you should able to do that too when you get ancient weapon and appropriate stat on all items. The bane of powerful isn't fixed, you can change anything into it, but I'm against putting gogok there, because the attack speed MAY make you drop off SW stack. Defensive gems if you need, for pushing stricken is the best there. Good luck on upgrade rare, I got countless ancient (almost perfect) fist from that including shenlong, kyoshiro, crystal fist. The only exception is fist of Az, its pain in the *** to get perfect. 3 gems to 65, now growing zei's at 54. Tried the upgrade rare, new to me. Bought a stack of shoulders at Kadala and made some nice legs and sets, but no ancients or anything I needed. But I will keep trying! Enjoying bounties and rifts effortlessly, one handed... great for farming and watching tv! Thanks for the help guys, IT IS FUN AGAIN!!! This IS great information, thanks for all of the thoughtful replies. I don't quite get why Powerful is considered the weak one here. The increase is 20% versus just 15% on Trapped. Is it because Powerful drops off when you haven't seen an elite pack for a while, whereas Trapped is always up thanks to the Pinto's Pride? I'm still rerolling my gear, so I'm doing lots of TX content still, but I want to get back to leveling my gems soon and feel like I might want to swap in a defensive gem. What are some of the better defensive gem options with a Wuko Bell build? The reasoning is quite simple. As you increase the gem levels, certain bonuses are increased. In the case of Bane of the Powerful, this affects the active duration of the 20% damage bonus, while with Zei's and Trapped, this affects the damage bonus itself. Wuko Bell plays at range and should not be standing still. This makes Mutilation Guard and Gizzard ineffective. 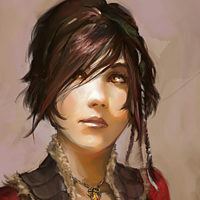 Your best option would be Esoteric, since it provides a substantial bonus to non-physical and elemental damage. The reasoning is very simple and I'm an idiot for looking at the base value of Trapped and not my leveled up version... my brain is fried and that's what I get for posting from work. Even my Trapped, at a measly Level 54, is already at 31.2% or something like that, better than Powerful. Although you mixed in the wrong numbers, the question isn't a bad one at all. You reallised BotT is up thanks to the Bracers: that means the effect of BotT only gets active after the first hit (which applies the slow effect). Therefore, BotT is basically useless in a one-shot-build / speed build. If you one-shot everything, BotT just doesn't give you any dmg-bonus against anything which is out of its own 15-yard-radius. Just wanted to say this since quin uses BotT in his One Punch Monk guide. On another sidenote: in higher grifts I personally prefer a cubed furnace instead of a cubed torch - as long as you have enough cdr for the spirit regeneration via epiphany and recalling mystic allies. What is "lacking"? Is there a range one should be shooting for, or just, if you notice yourself dying too much, consider adding more all-res? I had diamond gems in chest/legs in early paragon, but once I was running TX consistently I swapped to emerald. Now that I'm trying push GR, should I consider going back to diamond? I did GR64 last night, pretty easily, but I still get 1-shot by most elites and RGs. I know I have a lot of subpar gear and rolls, and I'm slowly replacing things with ancients and looking for better rolls, but also looking for those "cheap" enhancements like swapping out gems, or using different skills/passives. I'm still less than P500, but I'd like to be getting into the GR70 range so I can level 3 gems to 65. I want to get my stash tab and trying to do most of it solo, I think 3 gems to 65 is probably the easiest route for that. Also, I've been using the "Wuko Bell" build as it was termed earlier in this thread. Is there another build that is better for pushing GR at such low paragon? 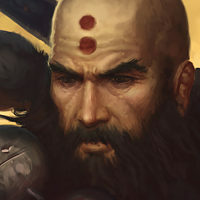 I have stored lots of legendaries and set items for several builds, and I'm currently just working on finding ancients for my current build, but being rather new to the monk, I'm open to suggestions for other builds too. 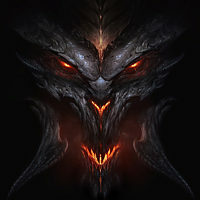 I've just been looking at some of the profiles of the helpful posters in here and searching builds on diablofans for instance. I don't think I have the ancients to pull of a build like Bahamut's LoN build he has going on Zod, for instance, but it looks awesome. Is going back to Innas, or doing an Uliana's build perhaps better for pushing GR than this Sunwuko WoL build? EDIT: I also wanted to point out that I know Harmony probably isn't the best choice for me right now, because I hardly have any secondary resistances. I just put it on there when I tried GR64 last night. I still finished with like 6 minutes left so it's not a problem, but I do have to run like hell every time the RG looks at me sideways. I hit the 3 to 65 at about 550 I think. I kept taking the 1 in 3 upgrade that Urshi was giving and finally knocked it out in a few hours solo. I can do a 2:19 on a perfect rolled rift now so this may be the easy one. Considering I am at GR67 I don't think I play enough to hit 75... but as she says "anything can happen"
And I hear ya about RGuardians, I have failed with 6 min left because of lame RGaurdians pwnin me... LOL! *high end gear prioritise even secondary stat like reduce range damage,pickup radius, etc. The only place where normally all resist is a better choice is boot, since no better stat can be fitted. 350 chest was pretty easy. I just kept checking The Paths of the Drowned in A5 until I saw the Cursed Peat bounty. That chest loads tons of mobs really fast. My first try I killed 312 or so and I my sweeping wind stacks ran out halfway through and I had trouble getting it restarted. I'm certain without that I would have gotten it first try. I got bored trying to force load the bounty by logging incessantly, so I just started making it a habit of checking every time I started a new game. Next time I found it I invited a couple people from general chat to join me in my private game and we killed like 467 without breaking a sweat. So IMO, the cursed chest is the easiest one. I'll keep an eye out for ya when I'm on. My hours are pretty limited, hence me being P487 or so this late in the season. I started the first week... lol. Bahamut, thank you for the good advice, I have not paid attention to secondary stats at all, but I do realize that Harmony is essentially worthless passive without them. I am trying to look for them more as I realize I have defensive issues in higher GRifts. What you will notice with all res, is that the more you stack, the less effect it has. Once you hit around 75-80% or so, the gain begins to drop off significantly (occurs at around 1400-1500 AR iirc); this is personally where I aim for. To use my own monk as an example, my low-end res sits at 1426 (80.29%), while my high-end (phys) res sits at 2147 (85.98%). The additional 721 res only boosts my actual res by 5.69%. Here is a list of fairly common setups. I personally recommend the 78-82 (easily acquired) and 79-86 (best) setups, as they offer versatility in primary and secondary stat selection, while offering a very reasonable level of toughness. Secondary on Helm, Shoulder, Glove, L Ring, R Ring.